On Monday Orlando was entrenched in a manhunt after an Orlando Police officer was shot and killed. The shooter had a very long rap sheet. The shooting happened outside of a Walmart and the shooter escaped armed and dangerous. 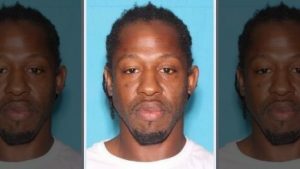 The suspect is named Markieth Lloyd. Just last month he was accused of murdering his pregnant ex-girlfriend. Lloyd had been on the run since he was accused of this on December 13. According to records, he has been arrested 20 times in Orange County. During the manhunt, a motorcycle crash happened while an Orange County deputy sheriff was searching for the suspect. The deputy sheriff was killed in this crash. Master Sgt. Debra Clayton was the police officer killed in the shooting. She had been on the staff for 17 years and married for one year. When the shooting happened, Sgt. Clayton was wearing her uniform. A local officer had tipped Clayton that the criminal was in the Walmart while she was putting grocery bags into her car. The deputy who died has not yet been identified. Here is a list of local schools that have been placed on lockdown since this happened. Our thoughts and prayers go out to the officer, the deputy and their friends and families.